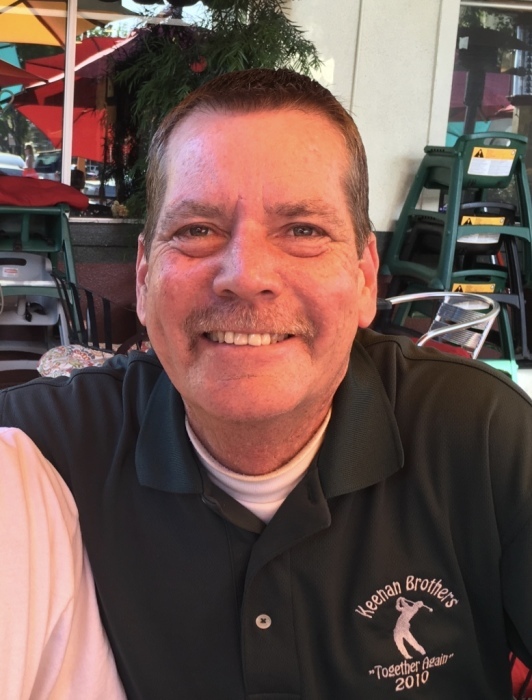 Patrick Eugene Keenan passed away unexpectedly on March 21, 2019 in Fountain Valley, California at the age of 56. Pat was preceded in death by his parents Eugene Dwyer and Joyce Elaine Keenan of Tustin, California. He was the youngest of four brothers, Mike, Kevin and Greg. Pat is survived by his three brothers and his daughter Christina. Pat was born on October 17, 1962 in Rochester, New York. He graduated from Tustin High School and had a 32-year career with the United States Postal Service, most recently at the Santa Ana Post Office in Santa Ana, California. Pat was an amazing guitar player who entertained everyone around him with his talents. He played regularly at masses held at St. Norbert’s Church in Orange, California. He loved to play golf, especially with his father and brothers. He will be truly missed by his family and friends. A Celebration of Life is scheduled for Friday, April, 26, 2019 at St. Norbert’s Church located at 300 Taft Avenue in Orange, California. The Celebration of Life begins at 11:00 AM with a reception to follow. Please RSVP to St. Norbert’s Church if you plan to attend. There's still time to send flowers to the Memorial Mass at the Saint Norbert Church at 11:00 AM on April 26, 2019.